Eric Hertlein's grandmother is a kindhearted woman who takes care of multiple stray cats in her Kansas neighborhood. Not only does she feed these cats, she also opens up part of her home to them so they can have a place for shelter when they need one. But what this compassionate grandmother didn't realize was that one of the cats who sought refuge in her home wasn't a cat at all. Hertlein's grandmother uses her enclosed porch as a shelter for the homeless cats. 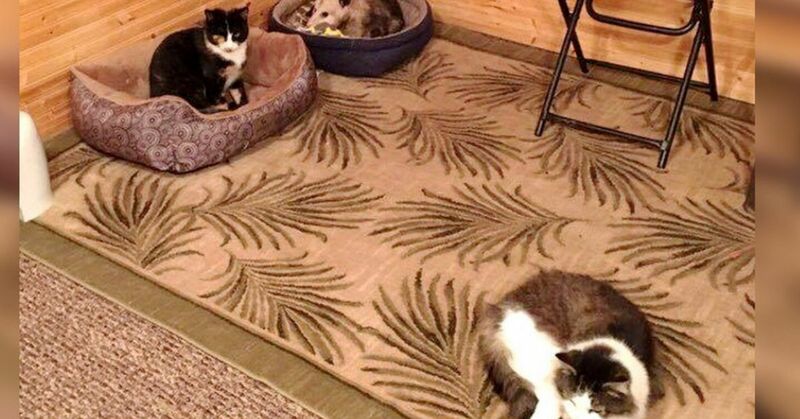 She even opens her entire home to those cats that feel comfortable enough to enter it. That's why when Hertlein stopped by to visit his grandmother one day, he was surprised by the new addition to her stray cat family. As he walked into the enclosed porch, Hertlein saw various cats curled up in snug beds, lounging and sleeping. But he did a double take when he saw that one "cat" wasn't a cat at all. 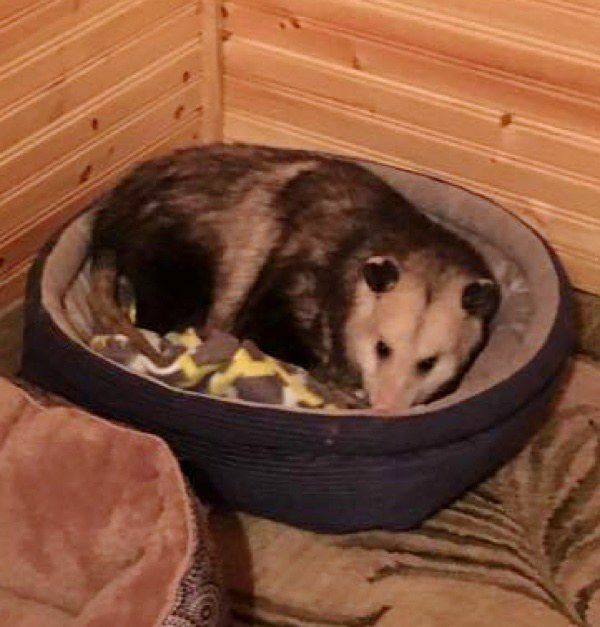 The animal masquerading as a cat was actually an opossum! 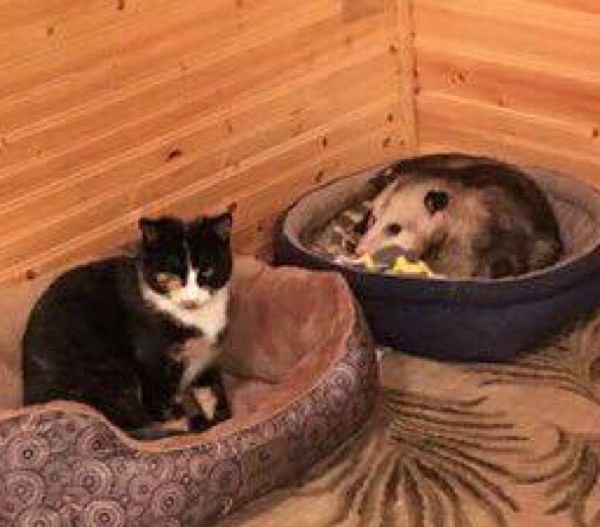 When he told his grandmother that an opossum had snuck into her porch, she told him that the "cat," whom she named Tete, was, for sure, a cat. "She reassured me it was one of her cats,” said Hertlein. "I told her it wasn’t what she thought it was." Hertlein laughed when he informed his grandmother that she was wrong. 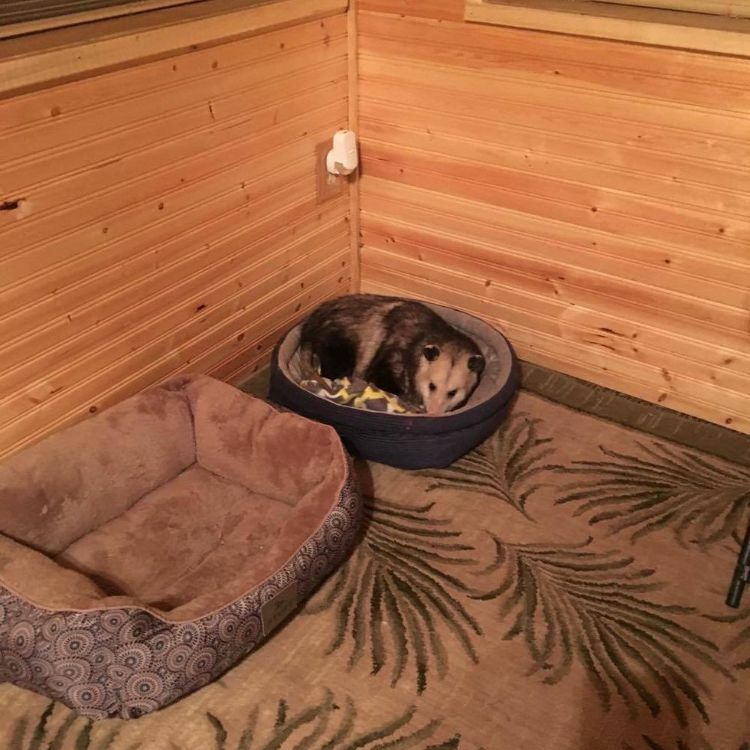 "I started laughing before letting her know it was no cat sleeping on her porch," he said. "I laughed for a good five minutes. She didn’t realize what I was laughing about until I started pointing out the pointy nose and skinny tail. She didn't realize he wasn't a cat," he explained. 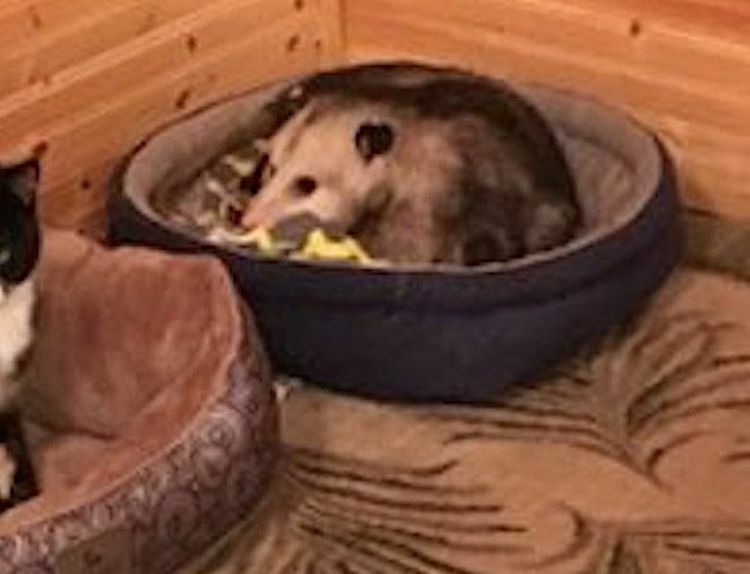 When he brought his grandmother over to take a closer look at Tete, and she saw that she had been caring for an opossum instead of a cat, she reacted with kindness and compassion. "She kinda just sat there," Hertlein recalled. "Then she got a little closer ... and slowly looked up at me with the biggest grin on her face and said, 'Well, he hasn’t bothered me yet, so I’m OK with him being here!'" Tete now has a permanent welcome at the house. Even Hertlein admits that the opossum is a friendly fellow. "He is a pretty friendly one. He loves sitting on the porch with the other cats but seldom lets people pet him," he said. 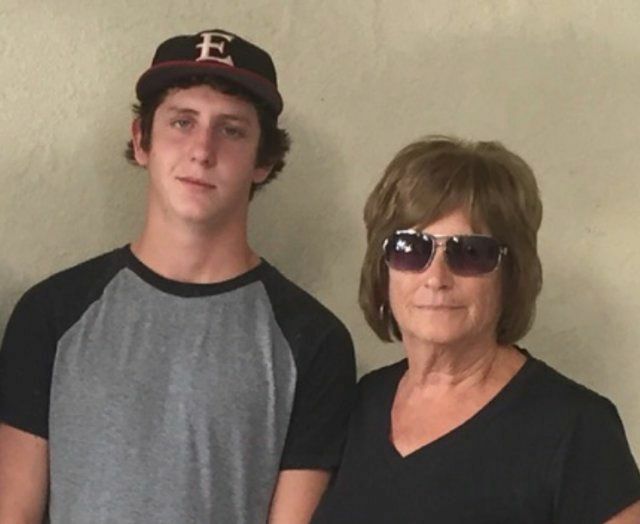 As for his grandmother, Hertlein proudly stated, "She loves animals and taking care of them whenever she can. It kind of just motivates you to do better and treat other beings better too." We agree, and we thank this woman for her generosity toward these cats — and one opossum — in need. Share this story with your friends and family on Facebook.